Rev. 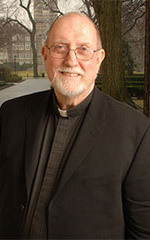 Patrick J. Ryan, S.J. Rev. 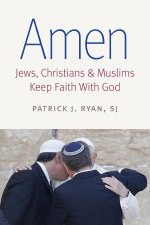 Patrick J. Ryan is Laurence J. McGinley Professor of Religion and Society at Fordham University. Ordained a Jesuit priest in 1968, Ryan is a graduate of Fordham University and Harvard University, where he studied with noted scholars Wilfred Cantwell Smith and Annemarie Schimmel. For nearly three decades, Ryan worked as an educator in West Africa, mostly in Nigeria and Ghana. He is the author of Imale: Yoruba Participation in the Muslim Tradition: A Study of Clerical Piety (Scholars Press, 1978); The Coming of Our God: Scriptural Reflections for Advent, Christmas, and Epiphany (Paulist, 1999), and When I Survey the Wondrous Cross: Scriptural Reflections for Lent (Paulist, 2004). JRP: You pay tribute to your distinguished mentors in your book. How did they shape your work as a Jesuit educator and scholar? 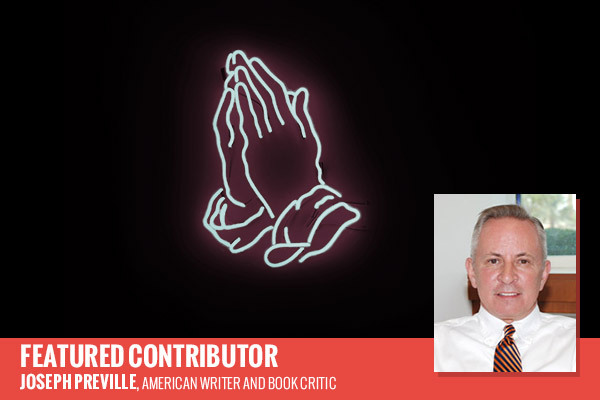 PJR: I mention many mentors in the Acknowledgments, but my principal mentors are those to whom the book is dedicated, the late Cardinal Avery Dulles, S.J., and the late Professor Wilfred Cantwell Smith. Avery and Wilfred first met each other at Woodstock College, the Jesuit School of Theology in rural Maryland (where I was studying at the time) early in 1967. Wilfred had for some years studied and written about the significance of faith across religious lines as a personal act of response to the Transcendent, contrasting it with particular beliefs or practices that may concretize faith, what he called the cumulative tradition. Avery and Wilfred corresponded and conversed over the years on this subject, not always agreeing, but influencing each other in significant ways. It was Avery who first recommended that I go to study under Wilfred’s direction at Harvard just after my ordination in 1968. Two other people to whom this book is dedicated are people whose faith I witnessed on their deathbeds, my sister, Mary Ryan O’Reilly, and a man to whose deathbed I was summoned in Ghana more than thirty years ago, Edward Nutsugah. My sister I knew all my life, and her faith remained with her to the end; Edward I only met a minute or two before he died, but I witnessed his act of faith just before he expired. I learned as much from Mary and from Edward as I learned from Dulles and Smith, but I learned it from Mary and Edward more vividly, in flesh and blood. The book is also dedicated to another mentor, just called “D.” The book begins and ends with a long letter to “D.” on faith, and every chapter continues the letter. He is a European first met in Africa who struggles with faith every day, always wondering whether he can keep faith with God. “D.” and those other four mentors have formed my faith much more than I can ever express. JRP: How did your travels and work in Africa influence your thinking on interfaith dialogue? PJR: I arrived in Africa the first time in 1964 as a Jesuit scholastic with a Master’s degree in English and something more nebulous called a licentiate in Philosophy. I don’t regret any of those studies, as my quotations from Eliot and Hopkins make abundantly clear, but Africa took over my imagination that first year. Nigeria, where I began, is about half Muslim and half Christian today, and that division especially applies to southwestern Nigeria, the homeland of the Yoruba-speaking peoples. Muslim and Christian Yoruba live together not only in peace, but in what I would call jubilation. It is their common tradition as Yoruba that binds them together. I cannot forget that beginning, and the continuing experience of living with Muslims and Christians over the 26 years I worked in Africa. I owe almost everything I do spiritually and intellectually to the people of the bright continent! JRP: What are the essential similarities and differences in how Jews, Christians, and Muslims view Abraham? PJR: Abraham is a father to all of us in the monotheistic traditions that trace their origins to the pilgrimage places where Europe, Asia and Africa meet. Abraham, however, is a father in very different senses. He is the father of Isaac and of his descendants, the people of Israel and Jewish people everywhere today. In the Christian tradition, especially under the influence of Saint Paul, Abraham is the father of the faith that puts us at rights with God, justified. In the Islamic tradition Abraham is first and foremost the father of Ishmael, the son whom Abraham was willing to sacrifice at God’s command. It was with Ishmael (according to Islamic tradition) that Abraham, the first real monotheist, purified Mecca of its idolatry and built the Ka‘ba, prefiguring Muhammad, who eventually cleansed that shrine of the idolatry into which it had descended after the era of Abraham. JRP: How did the Vatican II document, “Declaration on the Relation of the Church to Non-Christian Religions” (Nostra Aetate, 1965), forge a new ecumenical path for the Catholic Church? PJR: I would say that Nostra Aetate and the Declaration on Religious Liberty (Dignitatis Humanae), both worked out through many drafts and finally promulgated in 1965, are the most innovative products of the Council’s deliberations. Years of interreligious tension between Catholics and adherents of other faith traditions have been transformed in the brief five sections of Nostra Aetate. Later official Church teaching and the work of the Rome-based Pontifical Council on Interreligious Dialogue as well as the separate work of the Commission on Religious Relations with Jews have done much to make up for the tensions of the past. The Declaration on Religious Liberty was especially important in certain predominantly Catholic countries where non-Catholic Christians, Jews, and Muslims lived together and where Catholics had been less than hospitable to their faith. It has had less influence in countries where Christianity is a minority faith. JRP: How significant was “A Common Word” (2007) for Christian-Muslim relations? PJR: I wish that “A Common Word,” the 2007 pan-Islamic declaration of a desire by many leading Muslims to enter into dialogue with Christians, had been better received in Christian circles. Alas, the violence over the past decade that has torn apart Afghanistan, Syria, Iraq and parts of Africa where Muslims and Christians live together has done much to obscure the irenic Muslim efforts involved in working out that common declaration. H.R.H. Ghazi ibn Muhammad ibn Talal, the Jordanian prince who launched “A Common Word,” deserves congratulations for doing so, but much of the world seems to ignore it. “A Common Word” also promised a declaration on Muslim dialogue with Jews, and that has yet to appear. JRP: How is Pope Francis advancing interfaith harmony and dialogue in the world today? PJR: Pope Francis grew up in Argentina, one of the more religiously diverse countries in Latin America. There he forged good relations over several decades with the substantial Jewish community and also with the smaller but still significant Argentinian Muslim community. When he went on pilgrimage to Jordan, Palestine, and Israel, he brought along with him an Argentinian Rabbi and an Argentinian Imam. Since he became Pope, the Church has lost some its Eurocentrism; he seems at home in places as different as Korea, Myanmar and Egypt. He stands up for the rights of Christian minorities in those countries, but he also reaches out to other religious minorities, as he did when he visited the Muslim minority in Bangui, the capital of the Central African Republic in 2015. JRP: How can the concept of pilgrimage help Jews, Christians, and Muslims live together in peace? PJR: We are all pilgrims, journeying from life in this world to life in the world to come. Jews outside Israel pledge themselves at every Passover Seder to celebrate Seder “next year in Jerusalem.” The first pilgrimages of Christians were also centered on Jerusalem, but there are many pilgrimage sites in the Christian world today, especially in the Catholic tradition: Rome, Compostela, Lourdes, Fatima, Knock. The greatest pilgrimage of them all today is the hajj, the annual Muslim pilgrimage to the holy places associated with Abraham in Arabia. The Latin word for pilgrimage is peregrinatio, a word that in the first Christian millennium denoted penitential exile, staying away from one’s homeland as a type of prayer for the remission of sins. On pilgrimage, we all leave homeland behind and journey towards the homeland of the age to come. We Jews, Christians, and Muslims know that we have in this world no lasting city. Pilgrimage acts out with our feet what our innermost selves experience on the journey towards God.